When you order a lamb custom cut we will provide you with a form where you tell us the number of lambs in your order, and how you would like them processed. We have some recipes that might inspire you to try some unusual cuts of lamb. Filling a cut sheet out can be daunting at first. The samples shown are ones that have worked well for us and our customers. Please feel free to contact me directly if you have any questions. This sample cut sheet shows typical cuts for a home freezer. 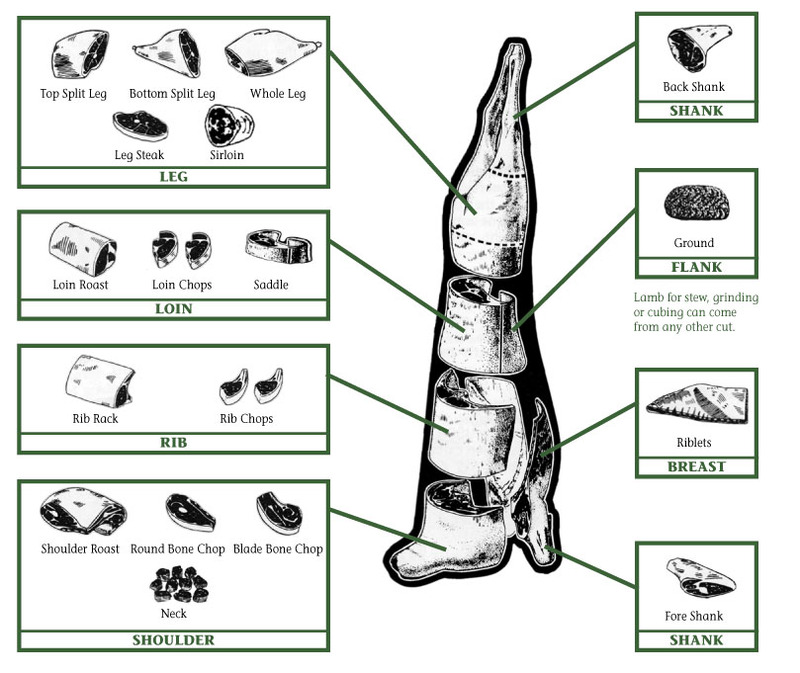 Your take home meat yield will vary depending on how the carcass is broken down.